On November 21, 1811, German poet, dramatist, novelist, short story writer and journalist Heinrich von Kleist committed suicide. Kleist stood as an outsider in the literary life of his time beyond the established camps and the literary eras of Weimar classical and romanticism. He is best known for the “historical knight play” Das Käthchen von Heilbronn, his comedy plays Der zerbrochne Krug and Amphitryon, the tragedy Penthesilea as well as his novels Michael Kohlhaas and Die Marquise von O….. In the following year, Kleist’s roving, restless spirit got the better of him, and procuring a lengthened leave of absence he visited Paris and then settled in Switzerland. There he found congenial friends in Heinrich Zschokke and Ludwig Wieland, son of the poet Christoph Martin Wieland; and to them he read his first drama, a gloomy tragedy, The Schroffenstein Family (1803), which depicts pathological states with ruthless clarity. Underlying this drama of error is Kleist’s recurring theme, the fallibility of human perception and the inability of the human intellect by itself to apprehend truth. In the autumn of 1802, Kleist returned to Germany; he visited Goethe, Schiller, and Wieland in Weimar, stayed for a while in Leipzig and Dresden, again proceeded to Paris, and returning in 1804 to his post in Berlin was transferred to the Domänenkammer (department for the administration of crown lands) at Königsberg. On a journey to Dresden in 1807, Kleist was arrested by the French as a spy; he remained a close prisoner of France in the Fort de Joux. On regaining his liberty, he proceeded to Dresden, where, in conjunction with the political philosopher Adam Heinrich Müller, he published the journal Phöbus in 1808, which lasted only a few months. The first issue with the article Fragment from the tragedy Penthesilea was sent to Goethe, who expressed his astonishment and incomprehension in an answer. The material for the second, Penthesilea (1808), queen of the Amazons, is taken from a Greek source about the passionate love of the queen of the Amazons for Achilles. Although this play received little acclaim, it is now thought to contain some of Kleist’s most powerful poetry, with the grimness of plot and intensity of feeling that have made his place unique among German poets. More successful than either of these was his romantic play, Käthchen of Heilbronn (Das Käthchen von Heilbronn) (1808), a poetic drama full of medieval bustle and mystery, which retained its popularity for many years. In comedy, Kleist made a name with The Broken Jug (Der zerbrochne Krug) (1808), which first was unsuccessfully produced by Johann Wolfgang von Goethe in Weimar. The play employs vividly portrayed rustic characters, skillful dialogue, earthy humour, and subtle realism in its depiction of the fallibility of human feeling and the flaws inherent in human justice. It ranks among the masterpieces of German dramatic comedy. On the other hand, Amphitryon (1808), an adaptation of Molière’s comedy, received critical acclaim long after his death. Of Kleist’s other dramas, Die Hermannsschlacht (1809) is a dramatic work of anti-Napoleonic propaganda, written as Austria and France went to war. It has been described by historian Carl Schmitt as the “greatest partisan work of all time”. In it he gives vent to his hatred of his country’s oppressors. Kleist was also a master in the art of narrative, and of his Gesammelte Erzählungen (Collected Short Stories) (1810–1811), Michael Kohlhaas, in which the famous Brandenburg horse dealer in Martin Luther’s day is immortalized, is one of the best German stories of its time. The Earthquake in Chile (Das Erdbeben in Chili) and St. Cecilia, or the Power of Music (Die heilige Cäcilie oder die Gewalt der Musik) are also fine examples of Kleist’s story telling as is The Marquise of O (Die Marquise von O.). They are all characterized by an extraordinary economy, power, and vividness and by a tragic subject matter in which men are driven to the limits of their endurance by the violence of other men or of nature. His short narratives influenced those of Franz Kafka. He also wrote patriotic lyrics in the context of the Napoleonic Wars. For six months Kleist had edited the daily newspaper Berliner Abendblätter, and, when it ceased publication due to stricter censorship regulations, he lost his means of livelihood. When his attempt to obtain a job in the Prussian administration failed, and his play Prince Friedrich von Homburg, begun in 1809, was banned from performing until 1814 by Friedrich Wilhelm III. Kleist had to write some stories within a short period of time in order to earn a living. Disappointed in life and embittered by the lack of recognition accorded him by his contemporaries, particularly Goethe, he came to know an incurably sick woman, Henriette Vogel, who begged him to kill her. 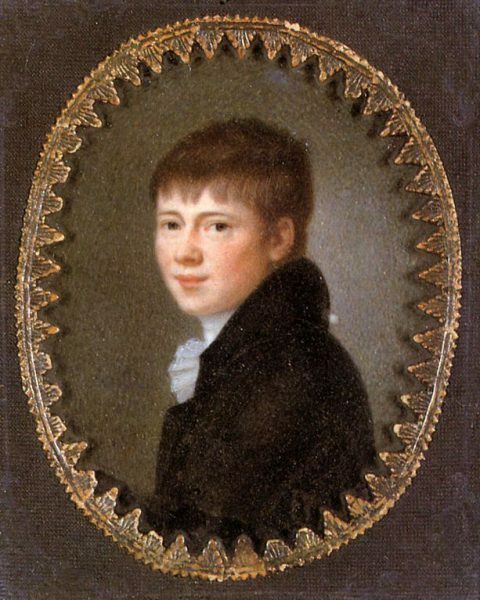 This gave Kleist the final incentive to end his life, and on November 21, 1811, he shot Henriette and himself on the shore of the Wannsee in the southwest of Berlin. The innkeeper who housed them the night before described the couple, thirty-four and thirty-one, as cheerful and voluble; Kleist wrote in a final letter to his sister that he viewed death with “inexpressible serenity.” Although controversial, troubled, and financially unsuccessful in his day, he went on to achieve a monumental posthumous reputation and is today regarded as one of the finest writers — playwright, philosopher, and novelist — in the German canon. Sadie Stein, The Suicide Pact of Heinrich von Kleist and Henriette Vogel, October 16, 2014.